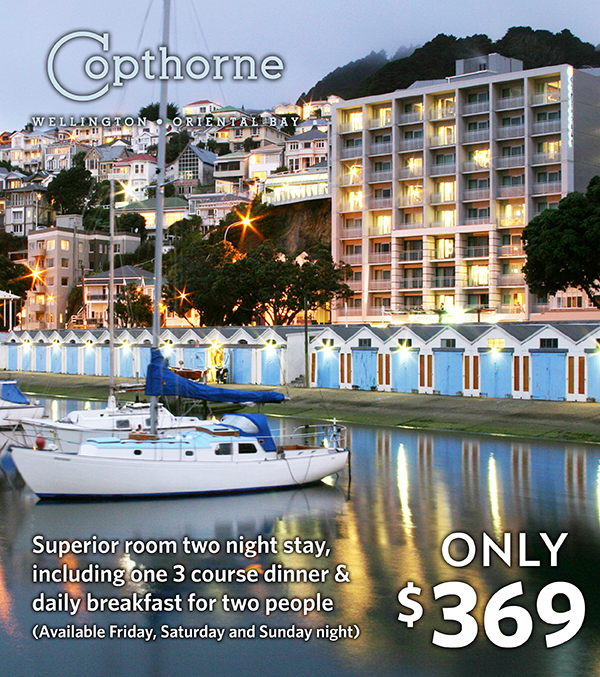 Treat someone special to a weekend break right in the heart of Wellington at the Copthorne Wellington Oriental Bay. This gift voucher entitles two people to enjoy a two night stay in a Superior Room at the Copthorne Wellington Oriental Bay. This package includes breakfast for two daily, plus a three course dinner for two from the set menu on one night. Upgrade to Deluxe room available at $50.00 per night, subject to availability. An excellent deal, we enjoyed our Wellington weekend, the harbour view upgrade was well worthwhile, especially as the Matariki Fireworks took place during our visit and we had a grandstand view. The breakfast selection was excellent and all staff members we dealt with were pleasant and helpful. This was absolutely fabulous. Was waiting for a catch... but no catch.Do it! Your Gift Voucher:Explore some of New Zealand's best geothermal wonders with a weekend br.. Your Gift Voucher:Enjoy a two night break right in the heart of Queenstown at either Copthorne.. Your Gift Voucher: Enjoy a weekend break at the Copthorne Hotel Auckland City located on ..